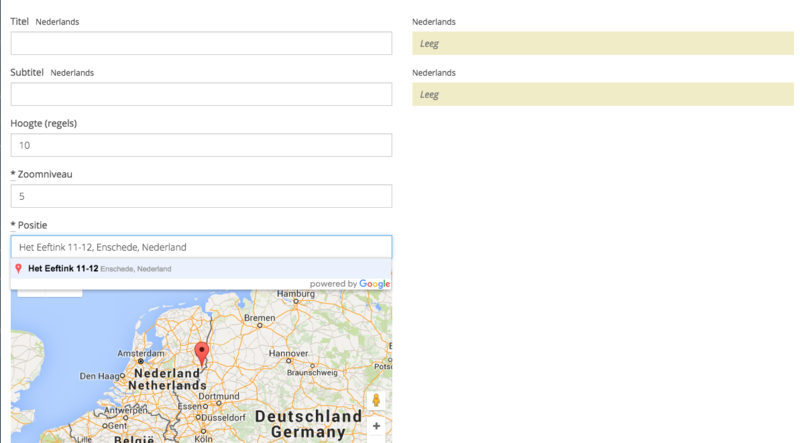 You can choose to display a map with the location of your park as a widget or, if you have multiple parks, you can choose to display the widget Choose park map. 2. 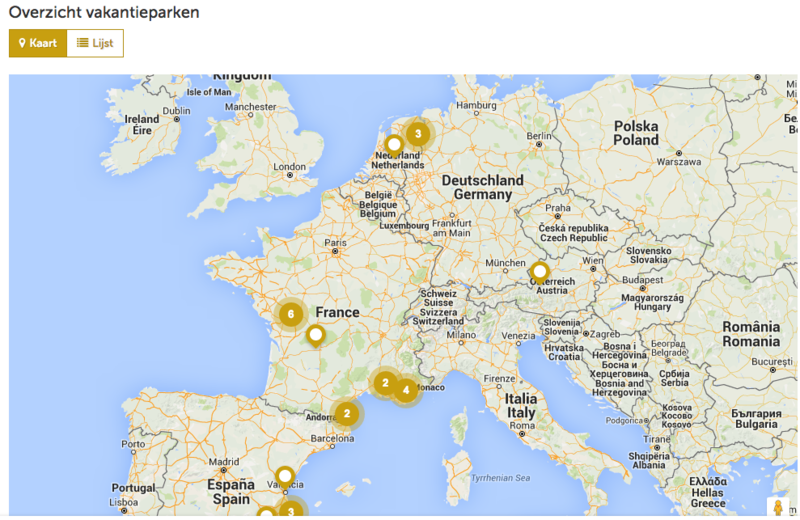 Next, click the widget Choose Park Map (component BookingExperts). 7. Indicate whether the parks that are close to each other should be displayed clustered. 9. Via Preview, you can view the map at the front office.